Sunday morning, before I even got out of bed, I was searching for dog-friendly vineyards in Northern Virginia. Because, what better thing could there be to do on the first perfect spring weekend day then pack up your friends and dog, put the top down on the convertible, and head to the country to drink wine all day. The first thing you should know is that the Virginia Wines website makes this super easy. 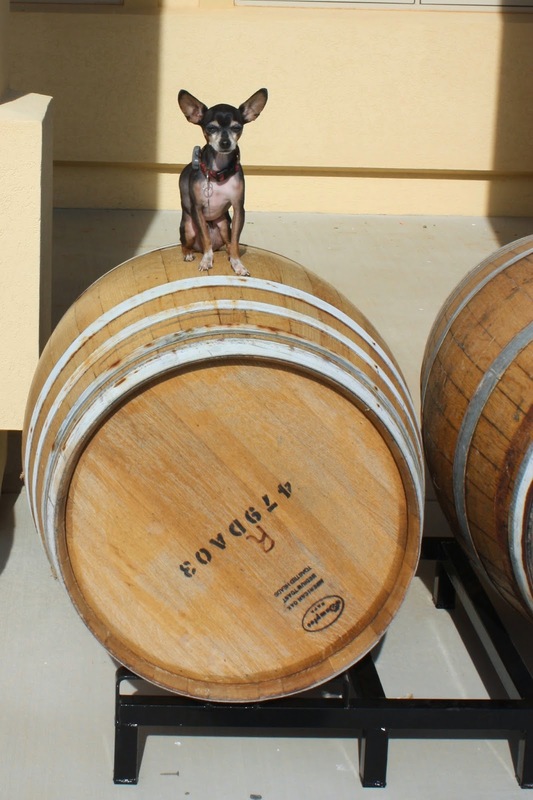 It has a search engine that allows you to view pet-friendly wineries by area of the state or even wine types. We picked Breaux Vineyards based on our friend Jenna's recommendation and an hour later, were tasting whites, roses and reds. The facility is pretty large, which was great because it was quite busy. The expansive rolling lawn and vineyards at Breaux are dotted with patio tables. Fun couples, families and groups were all hanging out enjoying the day. And Ike enjoyed visiting them all. I'm already planning on coming back May 9th for Dog Days. 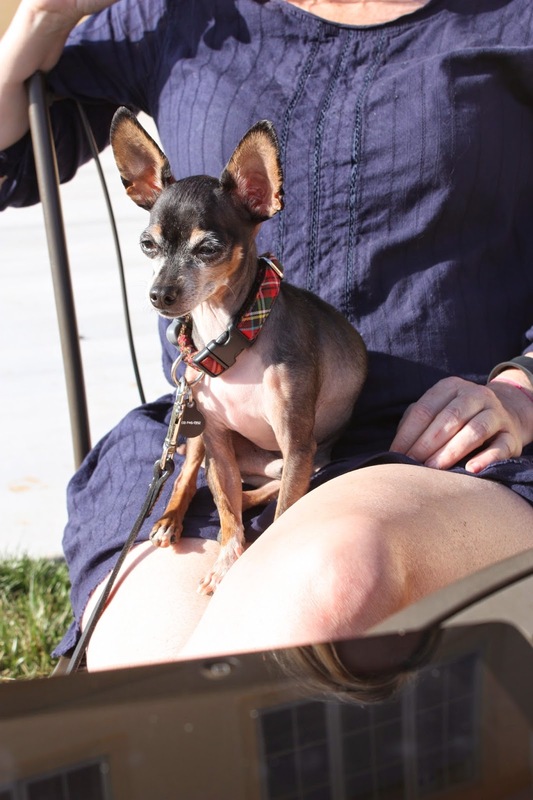 The couple who's Yorkshire Terrier won "smallest dog" last year tells me that Ike's a shoo-in for the honor in 2015. 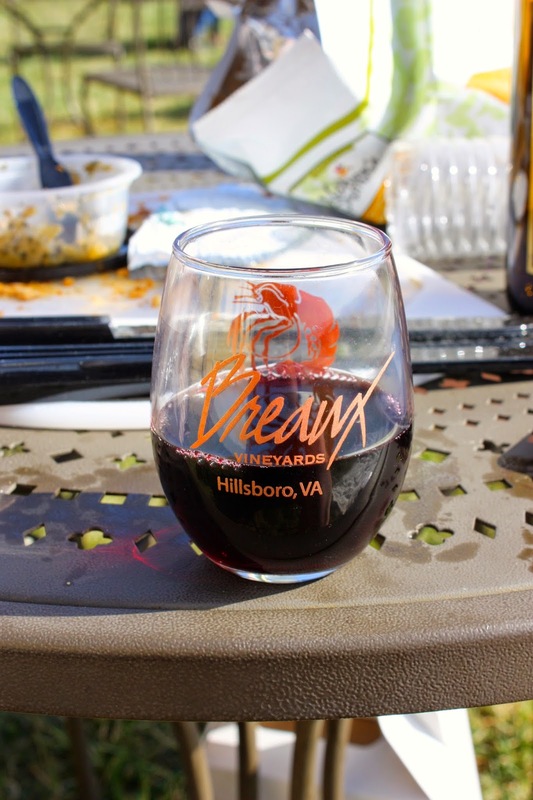 Breaux Vineyards is located at 36888 Breaux Vineyards, Purcellville, Virginia. It took about 45 minutes to an hour to get there and was a gorgeous drive once you get past the suburban sprawl.